How to merge two songs together online? It is trendy for merging songs together to make a new style of music. You may combine two or more songs that are somewhat related to make a consistent story or totally irrelevant or on the contrary for contrast. Anyway, it is obviously necessary for us to know how to merge two songs into one. After some attempt and with personal experience, we summarized some useful ways to merge two songs, which will be helpful for you indeed. When mentioning how to merge two songs together online, the most convenient way is to use Audio Joiner online. It is a great online song combiner since it can merge audios together and convert the merged files to any other common audio formats including MP3, AAC, M4A, FLC, OGG, etc. as well as an online audio cutter which can cut the audio and get the part of the song you love best. And Audio Joiner online can be easily used for combining song in simple steps that everyone can use. Click “Choose files” under Merge Audio section to browse and select the songs you are intended to merge and then load them online. The songs can be available from your computer or device, through Dropbox, from Google Drive, or from any other online source you link. Besides, it depends on you to add multiple files at once or select one at a time. You can choose the output format for merged song files, choose on or off of Crossfade and change the file name of the output merged file. 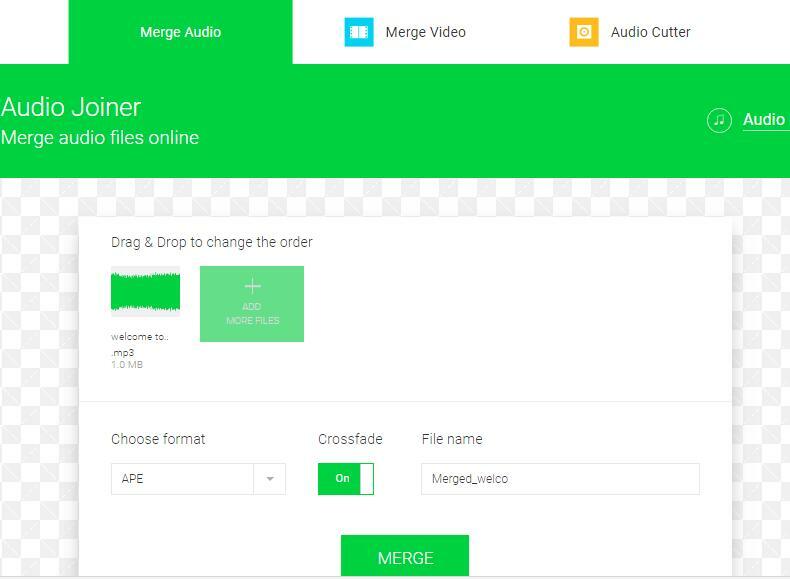 Then you can click “MERGE” and your song files will be seamlessly combined together! 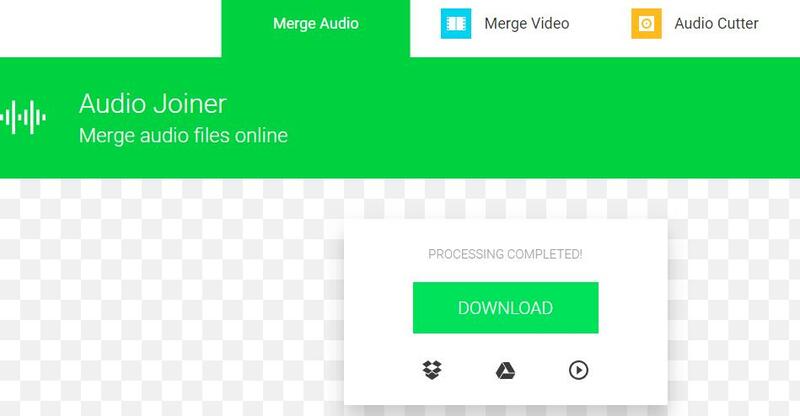 After your songs are merged and converted to your chosen format, you can click the “Download” button to save the merged song file to your computer, your device or a file-sharing medium like Dropbox or Google Drive. Or you can listen the merged song on this website directly. Besides, if you are intended to combine the climax of two songs together, you may need to discard other parts of the song. 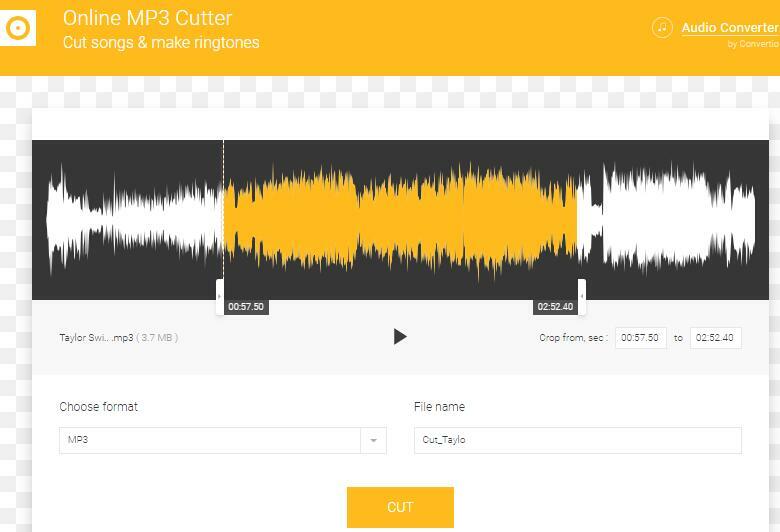 On this occasion, you can use Audio Cutter on the website to cut the songs before you merge two songs together. Click “Choose files” to select the song you are going to cut from your computer, or choose from Dropbox or Google Drive, or you can even add from URL. Once your song is uploaded, you can drag the handles to select the part you would like to get as a new song audio file. Then you can choose format for output from MP3, AAC, FLAC, M4A, etc. And set the file name for the new file. The process will be complete in a second. And then you can click “Download” to save it on your computer. Then you can follow the guide above to merge the songs together. Except to merge two songs together online, you can also use particular app to merge two songs. 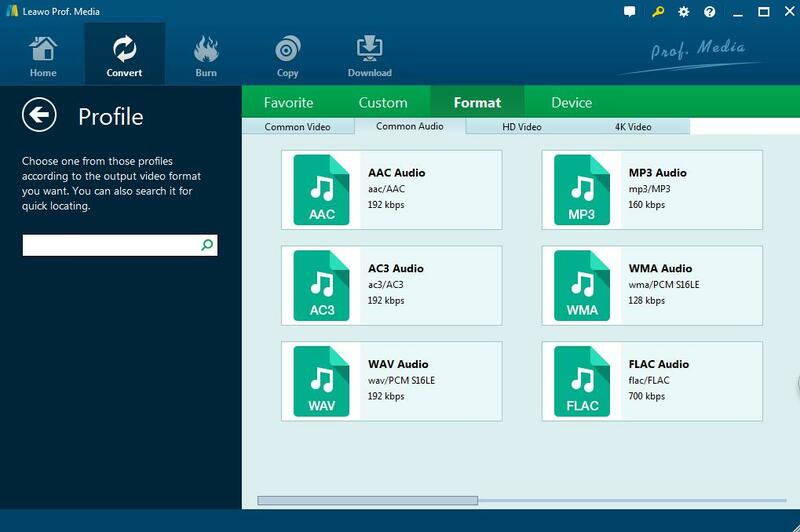 And Leawo video converter would be one of the best combine song software to make it. 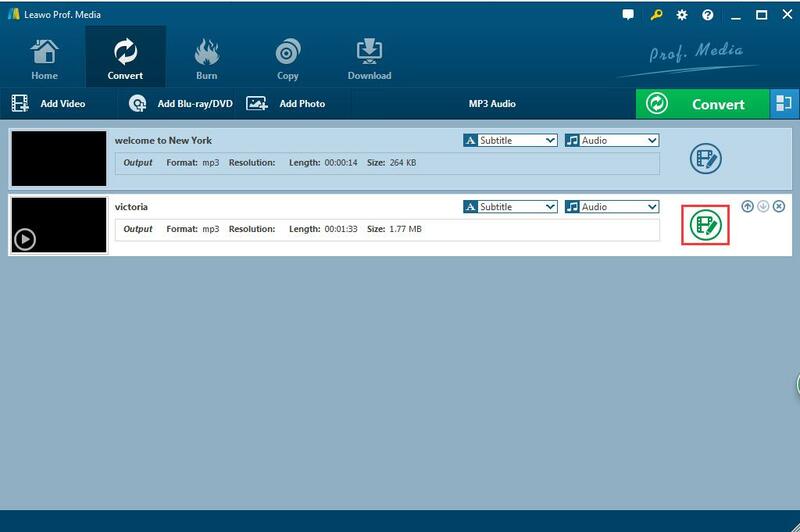 As powerful a video/audio converter, Leawo video converter can convert video and audio to over 180 formats, like M4V to WAV, or WAV to MP3. 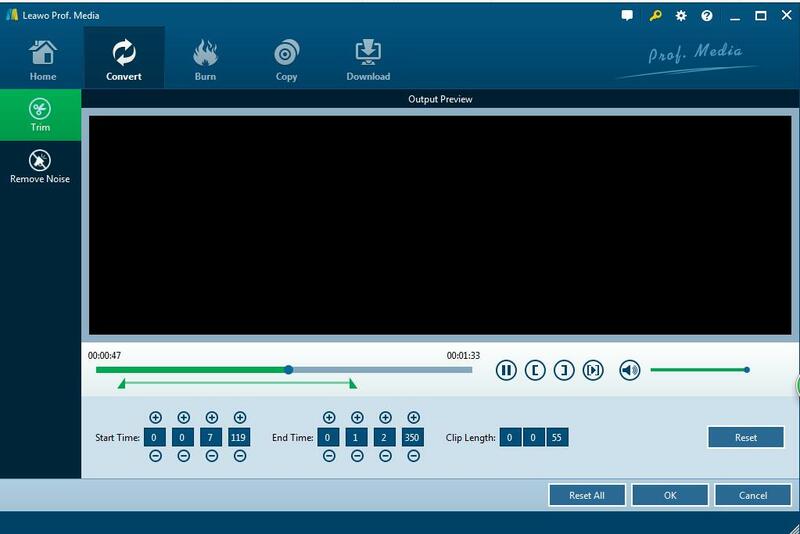 Also, it is widely used as song combiner and video combiner. 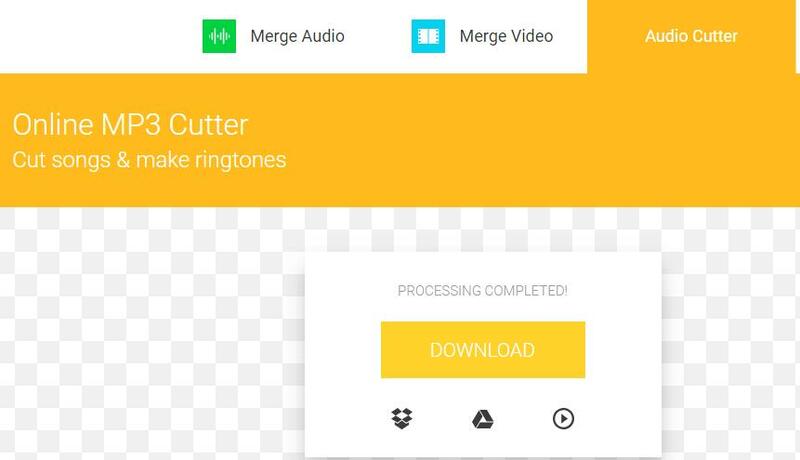 Now you can download this app on your PC and install it, then follow the guide here on how to combine songs easily and effectively. Launch the app on your PC, and then click “Convert” on the top menu. Now you can click “Add video” to browse and select the songs you prefer to merge together for importing. Or you can directly drag the songs to the program. Click the drop-down box right before the green “Convert” button, and then click the “Change” button to pop up a profile panel where you can select an output format for the output song. Go back to files list, click the “Edit” icon here to trim the song file or remove noise from it. Trim the song file: You are able to drag the handles to make sure that only the needed part is left. Or you can set the “Start Time” and “End Time” to get the core part you need. And then click “OK” to confirm it. Click the “Merge all files into one” button next to the big “Convert” button to start merging the two songs into one. Click the green “Convert” button on the secondary menu bar to pop up a sidebar where you are required to set an output directory to save the merged song file. After setting the output directory, you click the “Convert” icon at the bottom of the sidebar to start converting and merging the imported songs into one. The process will be finished in one or two seconds according to the size of your files. Now you can find the merged song in the folder you set before and enjoy it. Generally, the two methods referred here are quite helpful and easy-to-use for anyone who intends to merge two songs together online or with useful app. If you are hesitating which one to choose, you should know the differences between them. 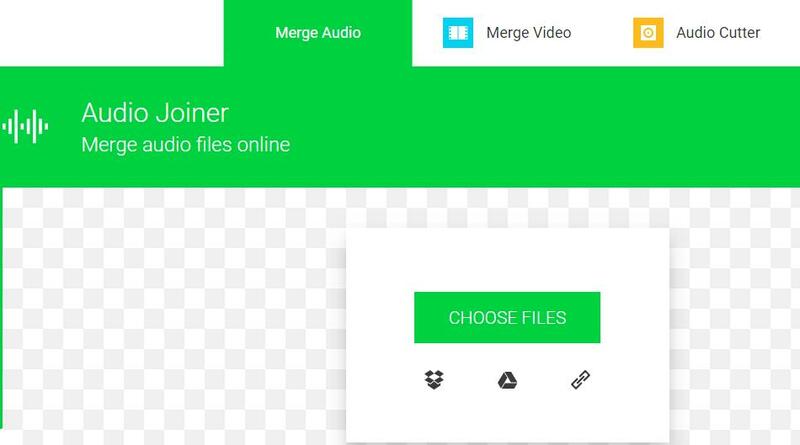 To sum up, Audio Joiner helps you merge two songs together online, while Leawo video converter guides you on how to combine songs standalone with your PC. You can choose the proper way relying on your situation.